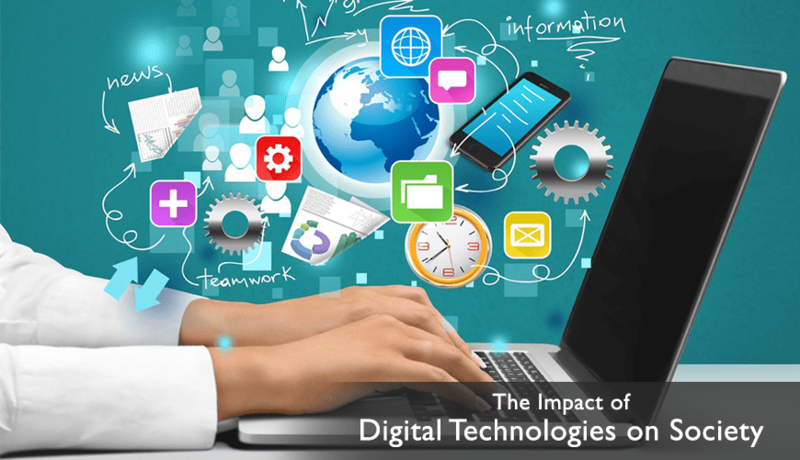 The Impact of Digital Technologies on Society - GBIM Technologies Pvt. Ltd.
Digital technologies have a huge impact on society. Digitization is affecting every industry on areas like financial policy, employment and competition. Digitization is not a new phenomenon. For many years, this concept has encompassed technological developments in general, especially in information technology. The impact of digital economy is being felt in many areas. For instance, some of the services and products that were previously analogue, such as travel arrangements, music, film, translations and media are becoming digital. Due to digitization, things such as vehicles, machines, household appliances and clothes among others, are equipped with built in computers and sensors. This has significantly raised our living standards. Although the rates of inflation and unemployment are high, people are eating better, living more comfortably and dressing better. Digital technology also has a positive impact on the fundamental aspects of our culture, including health care, law enforcement, art, education, mobility and religion. For example, the technological advancements in the health care industry have provided doctors with the opportunity to treat patients in a virtual environment by using mediums like video conferencing. Video conferencing also plays an important role in the legal environment. It enables judges to listen to the cases of criminals who cannot enter courtrooms because of security reasons. Digital technology also has a negative impact on society. For instance, advancements in digital technology often lead to destruction of creativity. The introduction of new technologies can also impact the economy in a negative way. For instance, television can consume several productive hours that people have in a day. The long term consequences of digital technology are not always foreseeable. Although digital technology can impact society in a negative manner, most of the impact is positive. It helps make our lives better. Digital Marketing Services also helps people become more efficient and this leads to increased productivity. Technology also enables us to save time and money. It has also worked well in uniting the world and transforming it into a digital village. This in turn assists people to overcome their racial, cultural and continental barriers.